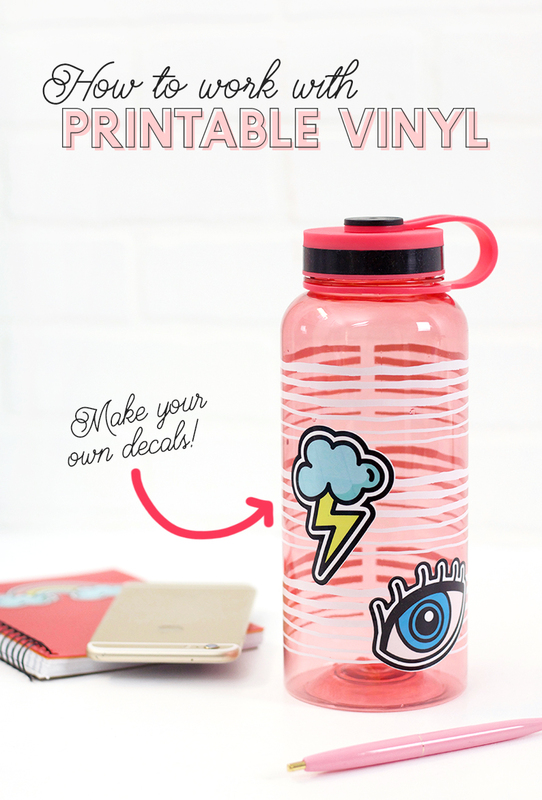 Printable Vinyl 101 – Learn how to print on vinyl to make your own awesome DIY vinyl stickers at home! Custom printable vinyl stickers are perfect for labeling and decorating all your stuff. Once you see how easy it is to make custom vinyl decals you are going to be labeling all the things! A big thanks to Expressions Vinyl for sponsoring this post, which also contains affiliate links that help to support this site at no extra cost to you. I am really excited to share today’s tutorial with you all! As much as I love working with vinyl, I know that it can be really intimidating if you have never worked with it before! 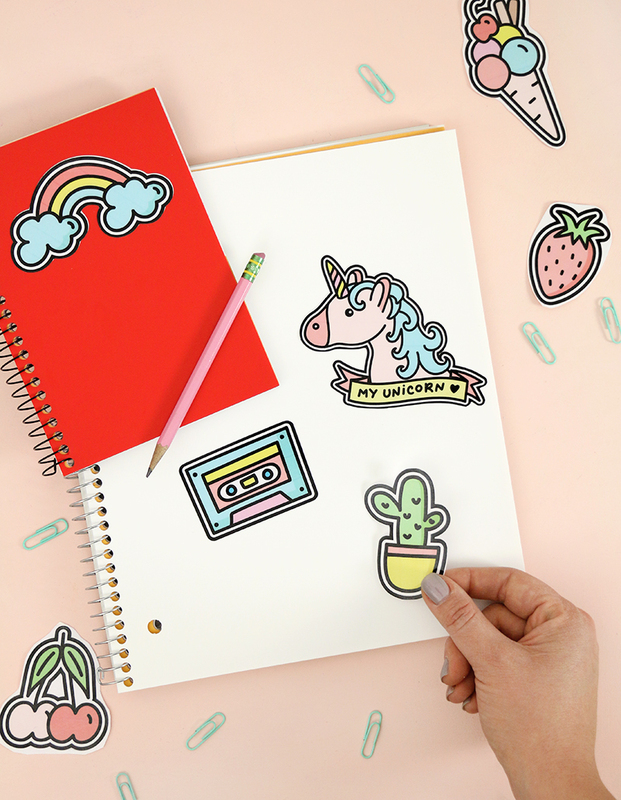 Today, we are kicking things off with a complete guide to working with printable adhesive vinyl! 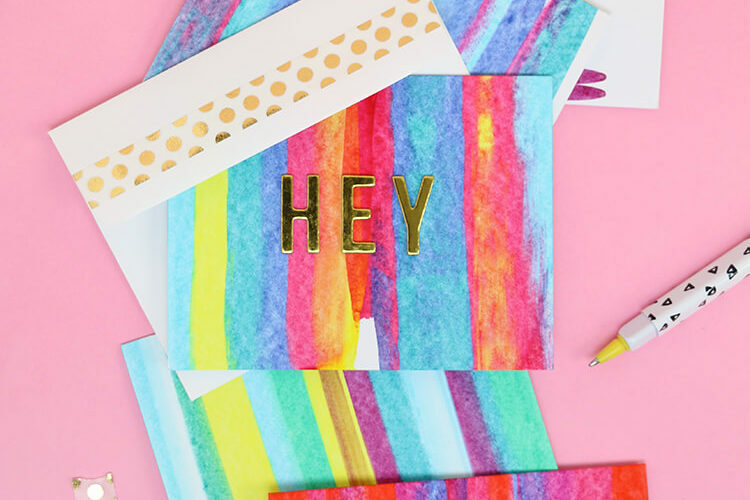 I love printable vinyl because it is a super easy way to create beautiful multi-colored designs. Plus, its easy to use even if you don’t have a Silhouette or other cutting machine. I’m going to specifically be focused on printable adhesive vinyl today, but don’t worry, I have a post on printable heat transfer vinyl in the works. 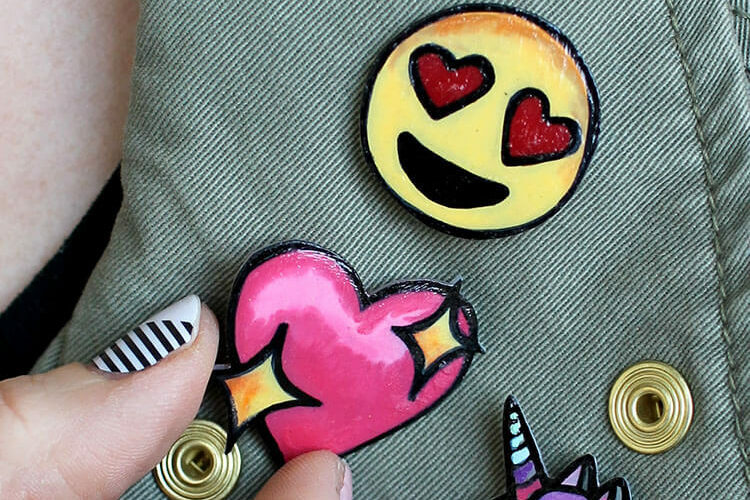 Okay, are you ready to make your own awesome DIY vinyl decals?? Here’s everything you need to get working with printable vinyl. 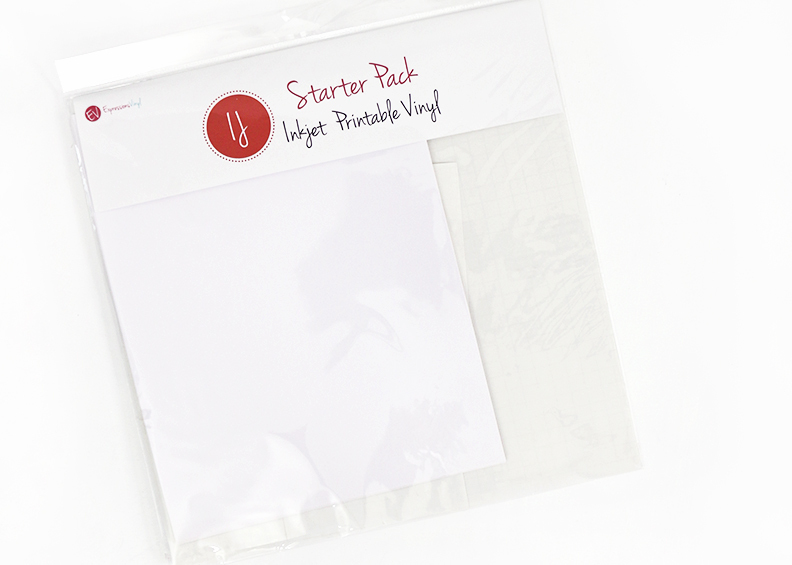 Psst – If you are brand new to working with printable vinyl, then the Expressions Vinyl inkjet vinyl starter pack ^ is a great option because it comes with enough material to make several sheets of decals and to try out the different laminate types. UPDATE: I just uploaded a new video all about working with printable vinyl that you can check out below. Plus you can see how my decals have held up to a couple of months of use! 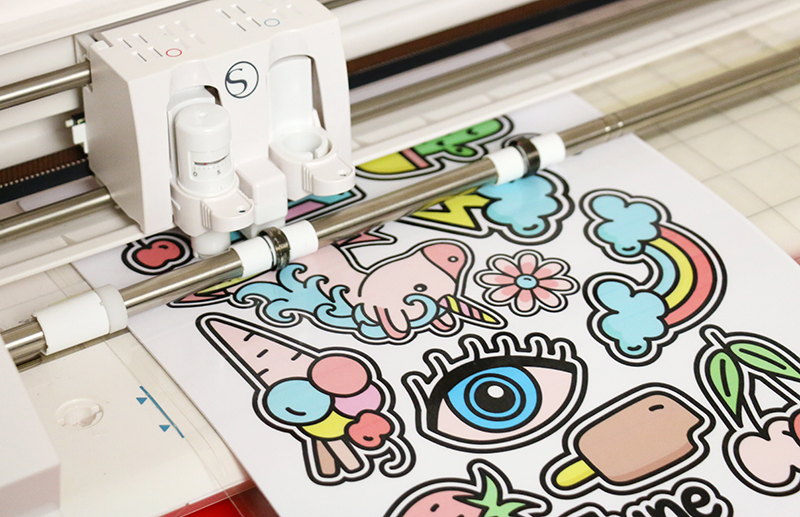 Printable adhesive vinyl works great with an electronic cutting machine, but I just want to make it clear that you absolutely do NOT have to have a fancy cutting machine to make your own vinyl decals. 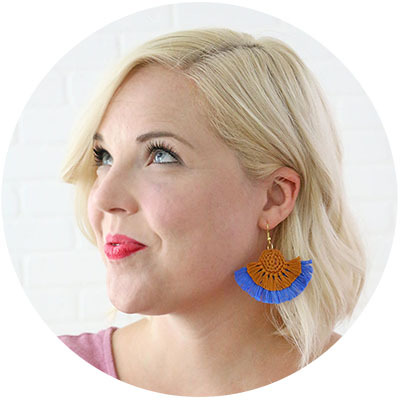 You can easily work with printable vinyl with just a pair of scissors or a craft knife. However, if you are cutting an intricate design, lots of decals, or if you just want a really nice, precise cut, then I would recommend a cutting machine like the Silhouette or Cricut. I use a Silhouette, and will walk you through the basic steps of working with that machine, but the basic steps will work for if you are cutting with a Cricut or by hand. Step One – Prepare Your Design and Print. 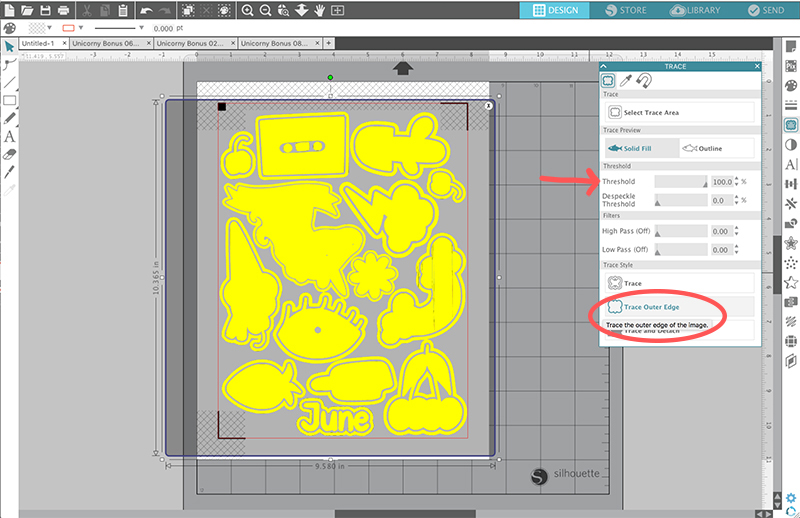 If you are cutting your decals by hand, then you just need to use any photo editing software (or Word would even work) to place your designs on a 8.5 x 11 size page and print them off using your inkjet printer. That’s it! If you are working with a Silhouette, you need to set up your document in the Studio software before printing. 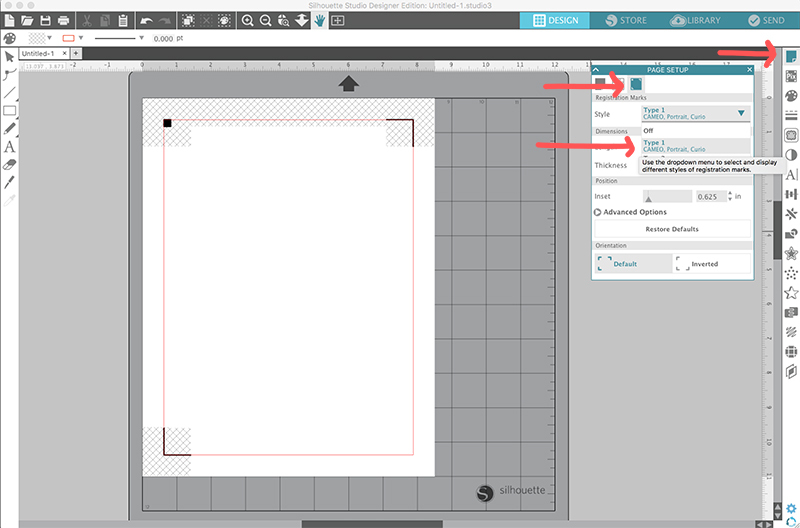 In the page settings tab, start by setting the page size to 8.5 x 11 (or whatever size printable vinyl sheet you are using – just remember you need to use a size your printer can handle). Next, make sure you have the registration marks turned on. You have to have the registration marks turned on for the machine to cut the decals! Next, open up your designs in the software and arrange them on your page. 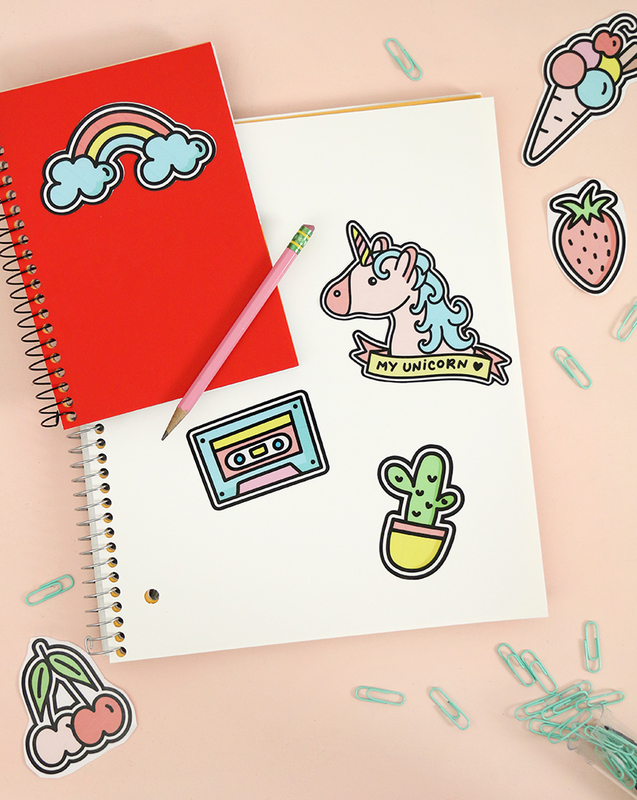 I used these adorable designs that come as bonuses with the Unicorny font for my stickers. As you place your designs, you can rotate them to fit as many as possible on your page. You don’t want to waste any of that vinyl! Just make sure to avoid the hashmarked areas and to keep all your cut lines within the red line. After you have your designs all placed, it’s time to create a cut line around the edges of each of your designs. To do this, open the trace window and click select trace area. Then drag to create a rectangle around all of your designs. Next, adjust the threshold setting until the design is completely yellow. Finally, click “Trace Outer Edge” to create cut lines around the edge of each shape. A red line should appear around the edge of each of your designs where the Silhouette will cut. Step Two – Apply Vinyl Laminate. At this point, you could simple cut and apply your decals, but if you want them to be extra durable (and especially if you want them to be washable), then you should first apply a vinyl laminate overlay. On it’s own, inkjet printable vinyl is rated to last outdoor for one year, but when you add a laminate overlay, it will last for 4-5 years. I made my laptop skin a year and a half ago, and it still looks great, and I think the laminate is why it has held up so well. You can choose from a glossy or a matte finish. For these decals I went with the glossy overlay. Start off by cutting your laminate down to 8.5 x 11. Peel one edge of the laminate away from the backing and carefully line it up with the edge of your page. Using your application tool (or an old credit card would work pretty well too), slowly smooth the laminate down onto your vinyl while pulling the backing away. Use your application tool to burnish the laminate overlay onto the printed vinyl sheet. Step Three – Cut Vinyl Decals. Now that your designs are printed onto the vinyl and the laminate has been applied, you are ready to cut! If you are cutting by hand, simply use a pair of sharp scissors or a craft knife and cutting mat to carefully cut along the edge of your designs. If you are cutting with the Silhouette, place the vinyl onto your cutting mat and load it into the machine. Adjust your cut settings. For printable vinyl with a laminate overlay, I recommend these settings: Blade: 2, Thickness/Depth: 33, and Speed: 5. Send the file to cut, and the machine will use the registration marks to cut right along the edge of your designs. It’s so cool! Step Four – Peel and Stick! All that’s left to do at this point is to peel the stickers off the backing and apply them where ever you want! 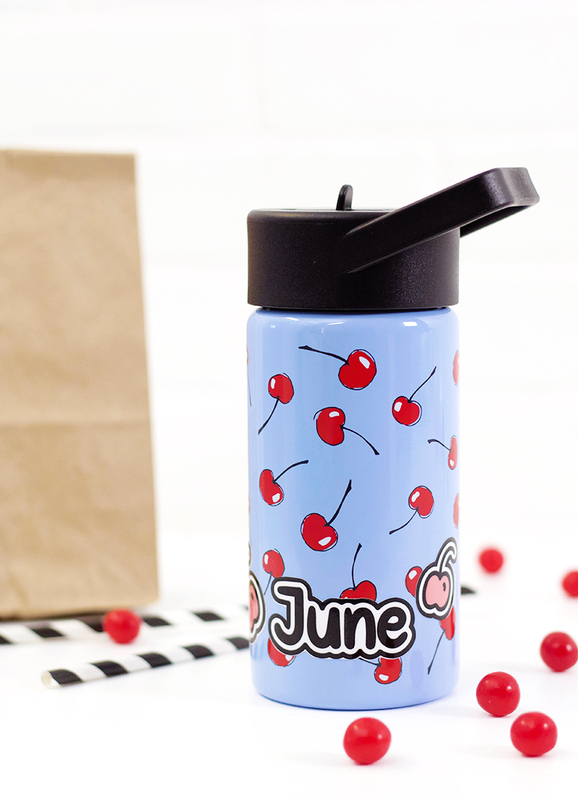 I used mine to decorate some new notebooks and personalize my kids’ waterbottles. 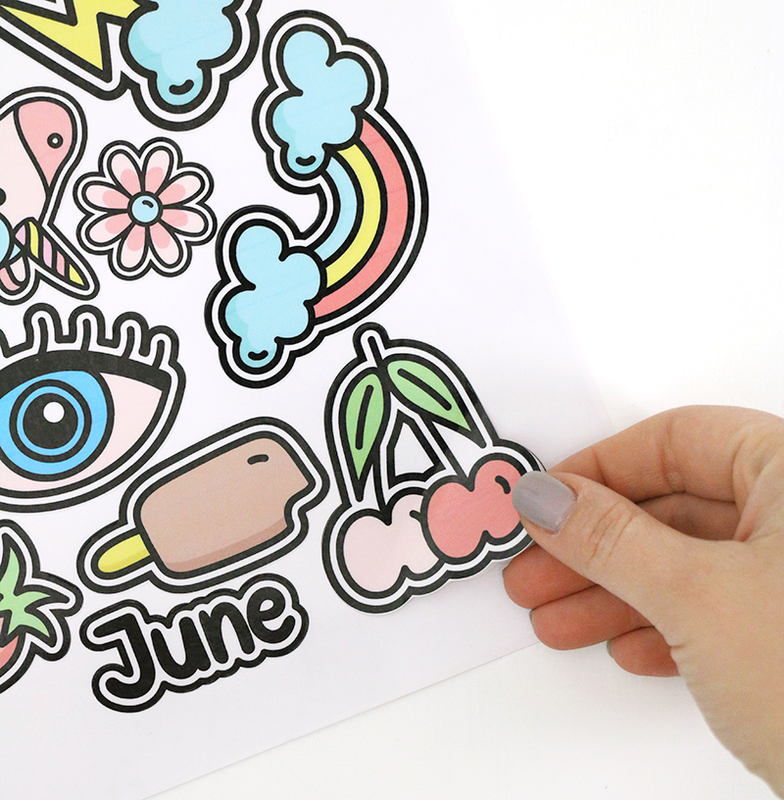 Printable vinyl is kind of perfect for making cute labels for all of your kids’ stuff, don’t you think? 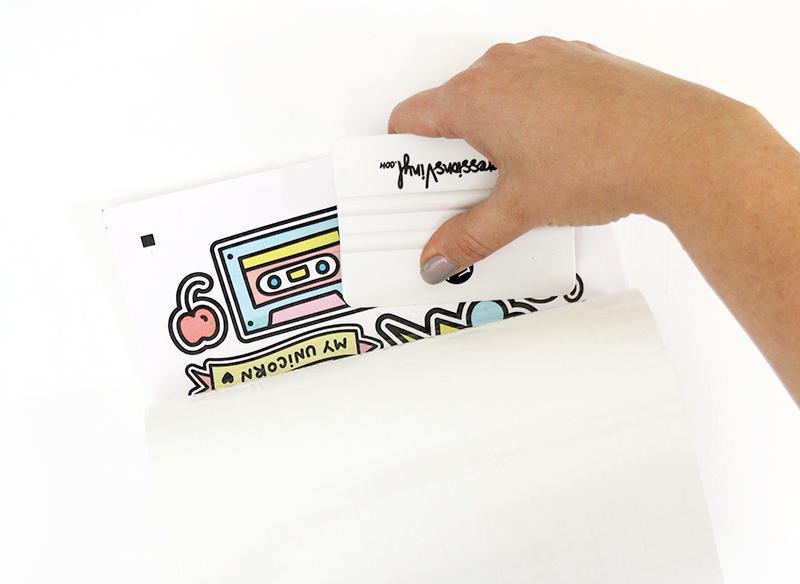 Because printable vinyl stickers have a permanent adhesive, they can stand up to washing well. Hand washing is recommended, however, to keep the decals looking good as long as possible. Oh wow, I had no idea printable vinyl existed! Thank you so much for sharing this tutorial. My daughter is a sticker lover and asking to give her some handmade stickers! Couldn’t understand what to do. Your ideas have made my job easier and I have tried to make some. She loved them too much and already applied to her water bottle!!! Thaks for these wonderful ideas. Yay! So glad it worked so well for you! Thank you for your sharing and work. These are really helpful to me. With your blog, I can make a unique sticker for the children. Does this only work on InkJet printers? My son really wants to create his own stickers…but I just have access to LaserJet printers. Witch brand of expressions vinyl do you use?? Great tutorial! 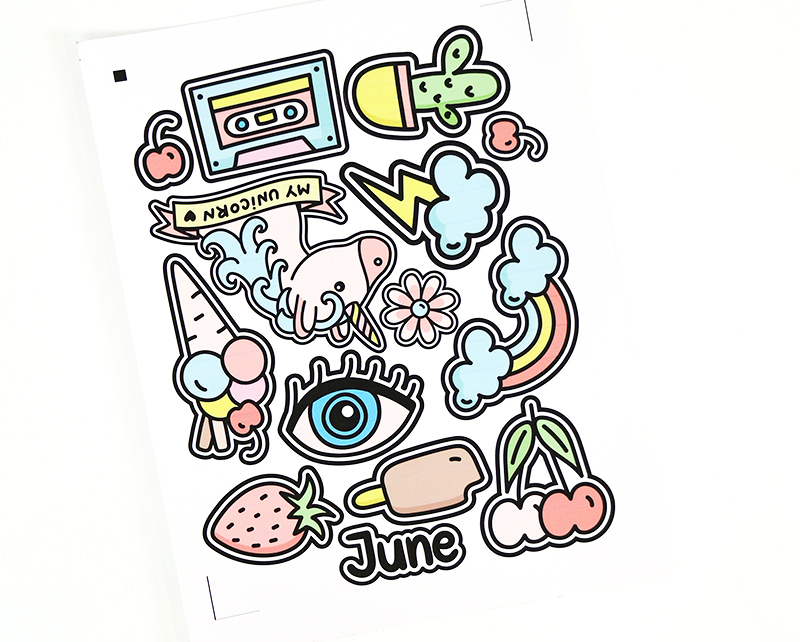 I’m trying to make kiss cut sticker using printable vinyl. What cut settings do you recommend? What do you mean by “Use your application tool to burnish the laminate “? Loved the video! If you add the vinyl laminate over your design do you also use the acrylic spray as well or is it just one or the other? You don’t need a spray if you use the vinyl laminate. Hope that helps! Hi! I’ve been trying to apply the printable vinyl to a disc ornament but i am having a hard time applying it and leaving out the creases. Have you tried the vinyl on an ornament before? If so, what shape did you make the picture to look best without creases? Sadly I do need a machine since I have a laser and not an inkjet printer. Thank you for posting. I am a professional organizer and I have the worst handwriting in the world ?!! Sometimes for labels I need them to be customized and I was trying to find a solution. The info you give is informative and I am looking into seeing if this is a good rout for me. Thank you so much for sharing this! I was unaware printable vinyl was a thing, but decided to do some research when a friend asked if it were possible to make some decals! I can’t wait to get started with a new project! Your video was super helpful! Not sure if this will reach you or not, but I was wondering if there is a specific printer I in would need to use for the printable vinyl.? I know it says the inkjet printer and you said you use the laser jet, what does that mean? Brand type? Thank you so much for your help. An inkjet printer uses ink, while a laser printer uses toner. So the vinyl is designed to be used with an inkjet printer (which is the most common type of home printer), but I prefer my laser printer so decided to give that a try, and it worked fine. So, basically, any home printer you have should work fine. Hope that helps! I have tried this for the 1st time and love it ! the colors come out so vibrant and I don’t have to worry about weeding my images or using multiple colors of vinyl .. I have not tried this, so I can’t give a good answer. I’m sorry!